Since its release in 2015, the indie game Undertale by Toby Fox has received widespread praise and acclaim for its endearing characters, witty dialogue, and amazing music. Deltarune gives fans a chance to return to the beloved game, but it would be too simplistic to say that it’s merely a rehash of it. Featuring Undertale’s iconic pixel graphics and music, as well as the hilarious dialogue, Deltarune has enough of Undertale to make it a treat to fans of the original game, but it has some new mechanics and characters that makes it so much more than just an Undertale clone. 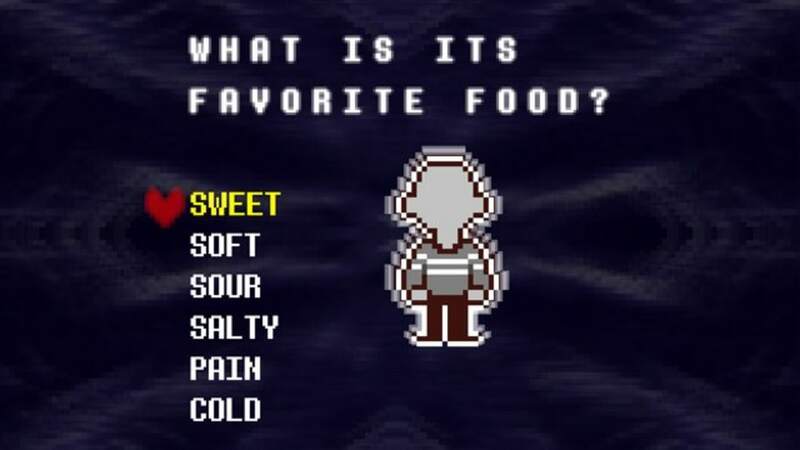 Although Deltarune features a lot of elements that made Undertale worked like the music and dialogue, there are still a lot of new additions to this game that makes it stand on its own. It has an entirely new story that doesn’t seem to be either a prequel or sequel to Undertale. You do get to interact with characters from Undertale, but there are certain differences that make its place in the timeline questionable if it has a place in the timeline at all. Its sound, similar to Undertale, is reminiscent of retro 16-bit games. Toby Fox composed brand new music tracks for this game, but there are some remixes of notable Undertale themes. In terms of graphics, it also harkens back to retro games, and it features the exact same pixel art as Undertale. There are certain parts of the game that has very intense colors, and users are advised to take caution because the colors may cause eye strain and disorientation. As a whole though, Deltarune has an incredibly intuitive design and interface that won’t be confusing to anyone. What’s really different between Undertale and Deltarune are the fight mechanics. It’s not so different to be unrecognizable, but it does distinguish itself from Undertale. Unlike Undertale, you get to fight in a party system in side view. Before, you fight alone and fights are presented face-to-face with the enemy. 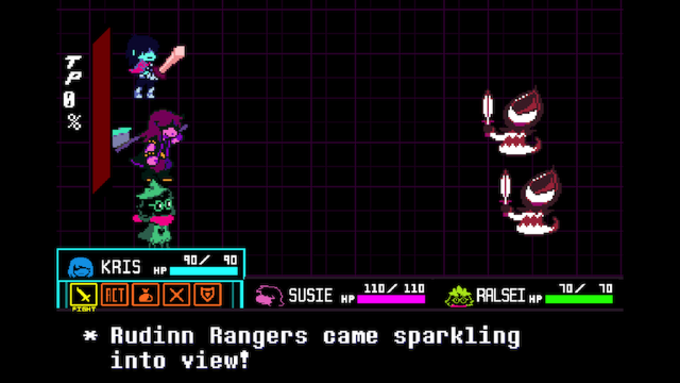 Deltarune presents it in a more RPG style similar to Final Fantasy games. There’s still an emphasis on sparing enemies rather than killing them, and the challenge comes from your own teammates as they are committed to destroying everything in their path. The non-combat mode of the game is pretty standard. You can interact with objects in the game and occasionally you’ll get items and power-ups. There are also some puzzles that players have to solve to proceed. These can be a bit challenging because there are no instructions, but they aren’t impossible. Some can even be solved just by pressing randomly. Deltarune can be enjoyed on its own, but a huge part of the appeal comes from its connection to Undertale. 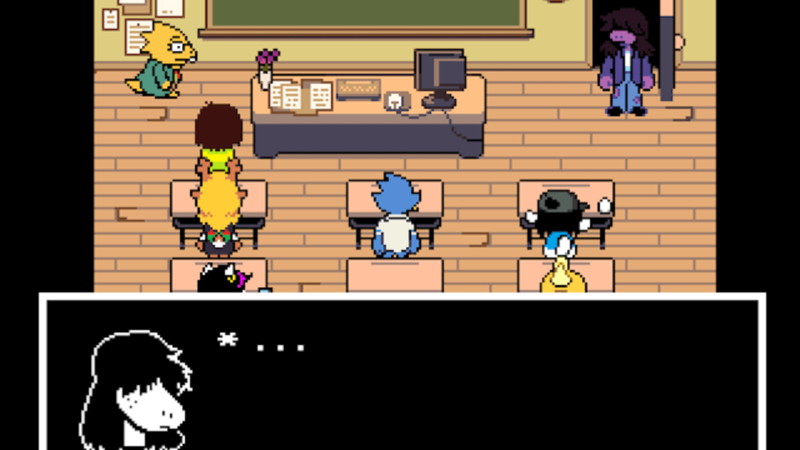 For new players, Deltarune is a good entry to Toby Fox’s games that can hopefully get them more interested in the others. For fans of Undertale, they’ll have more Undertale lore, mysteries, and content that will certainly reignite their love for the game.